You know you have been bitten pretty hard by the barbecue bug when you lay in bed at night thinking about playing with your new grill. 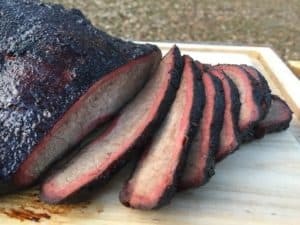 I have been working with my Weber Jumbo Joe for two months now and have been using an 18 inch hinged grate that is not standard with the grill. I hate the idea of not using the standard grate that comes with the Weber Jumbo Joe; seems like wasted money if it is not put to use. And so, while I was flopping around in bed the other night I finally figured out what needed to be done. This post is all about capacity! 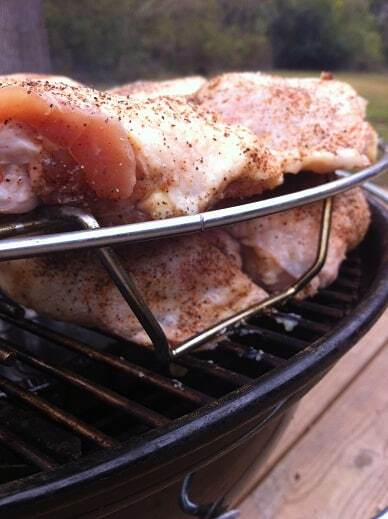 If you buy the 18 inch hinged grate you can use it in conjunction with the standard grate and cook twenty chicken thighs. 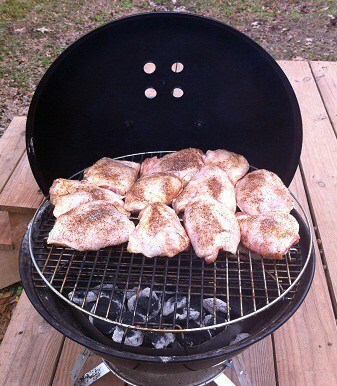 I am talking about two full family size jumbo packs of thighs on the ultimate portable charcoal grill! Yeah, baby!! Start by trimming the excess skin and fat from the thighs. You are going to be pressed for space so every little bit helps. 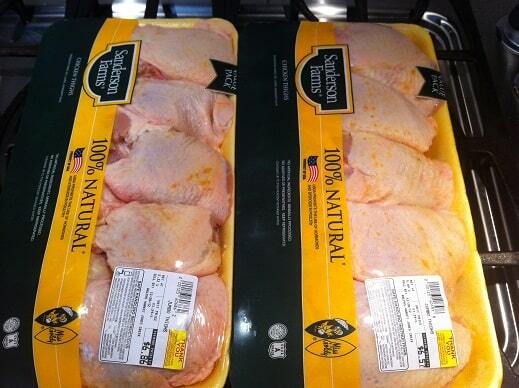 You are also going to be swimming in drippings so elimination of as much fat as possible up front is a good thing. 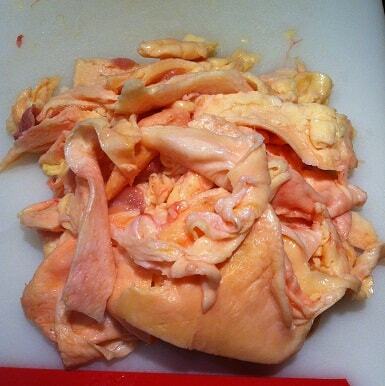 Here is how much fat I took off the twenty thighs without even bothering to scrape the skin. 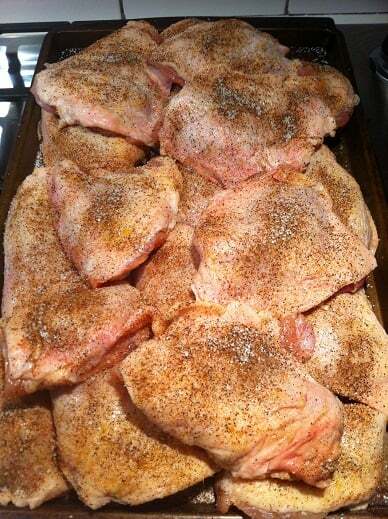 I seasoned the thighs with salt, pepper and a little chili powder. I placed the charcoal basket from my 22.5 inch kettle onto the charcoal grate of the Jumbo Joe and put an empty 8 inch foil pan on the other side of the grate. 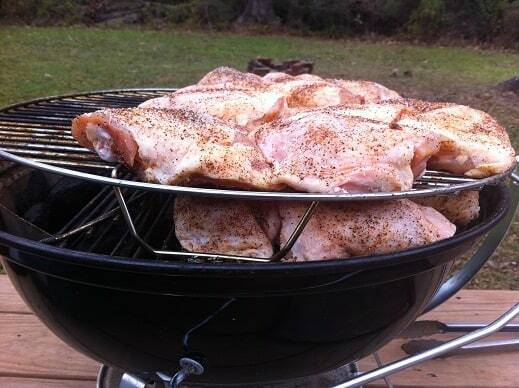 I loaded the basket with unlit Kingsford then placed the hinged grill grate on top. 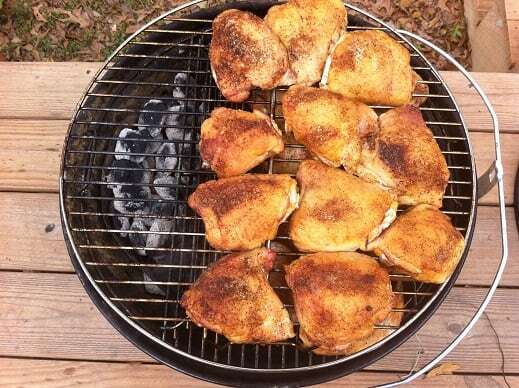 I was able to fit nine chicken thighs onto the far side of the hinged grate above the aluminum pan. 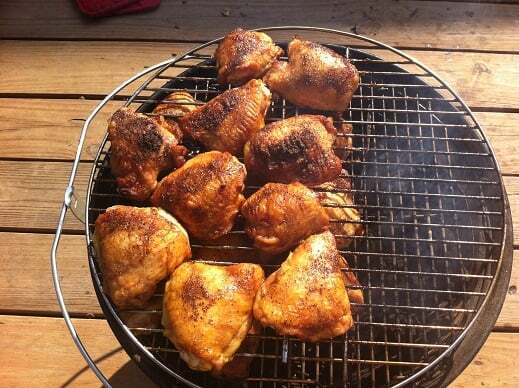 I added 10 lit Kingsford briquettes to the charcoal basket then put the standard grate to use. I inverted the standard grate using the handles to elevate the second grate about an inch and a half above the hinged grate. 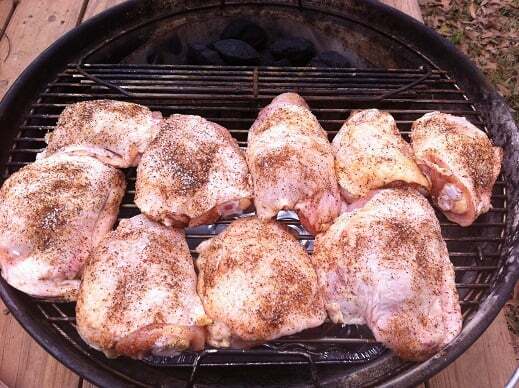 I was then able to place an additional eleven thighs on the top grate opposite of the fire. The bottom and top vents were set to 50% open. There was going to be a significant temperature gradient between all of these thighs so I wanted to go low and slow to give me time to rotate pieces. After one hour I took off the lid; the chicken on the top grate had obviously been cooking hotter than chicken on the bottom grate. Chicken closer to the fire had been cooking hotter than chicken away from the fire. Nothing unexpected. I removed the top grate with oven mitts and rested it on the deck. 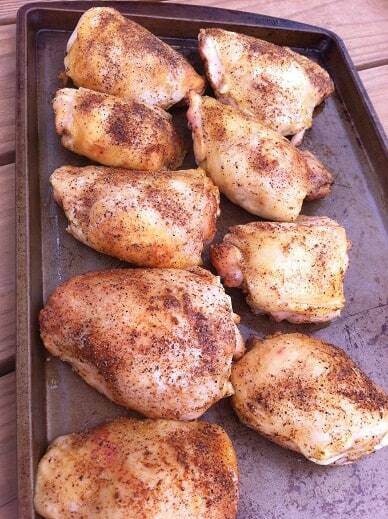 I used a baking sheet to help do the “chicken shuffle”. 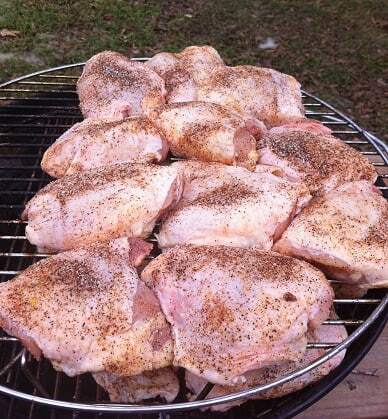 The thighs from the top grate were transferred to the bottom grate and those from the bottom went up top. Everything was reassembled and allowed to cook for another hour. 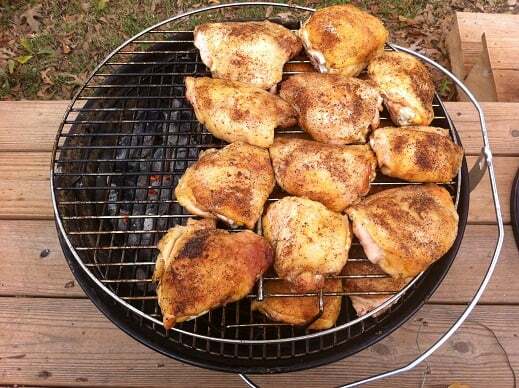 At the two hour mark I rotated the chicken pieces between the two grates and added about ten more unlit briquettes to the charcoal basket. The chicken was reading about 160F. 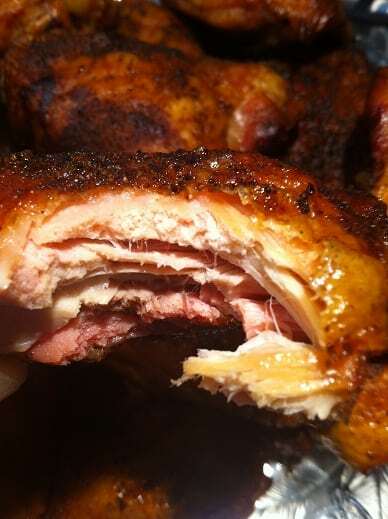 At the three hour mark I rotated the chicken one last time. 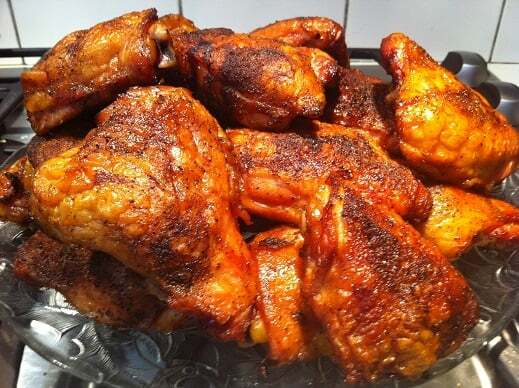 The thighs looked awesome and smelled delicious. 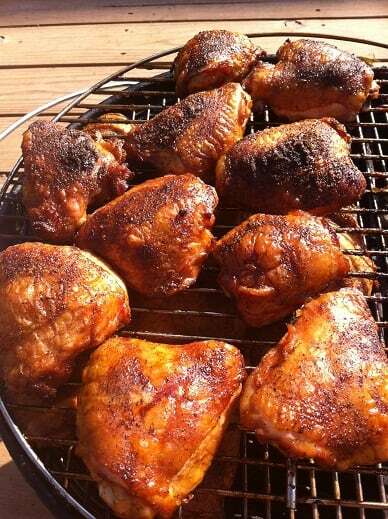 I let them go for 30 more minutes to an internal temperature of 175F then pulled them off my little pit. 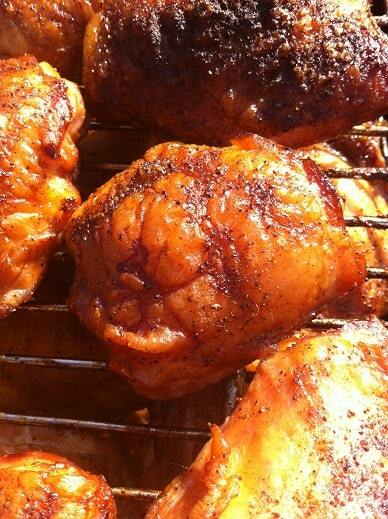 All 20 chicken thighs had cooked up perfect! 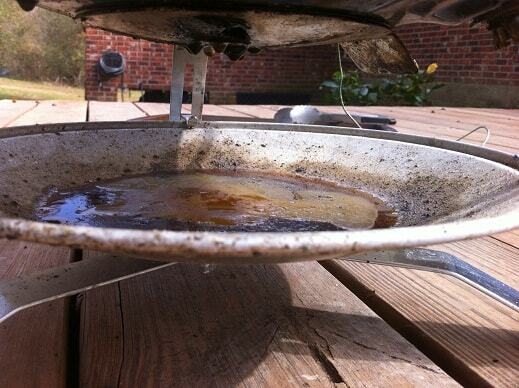 The one thing I would do different is to place a disposable aluminum pan on top of the ash catching assembly. The amount of juices that came out of the thighs was prodigious. The catch pan I had inside the grill caught some but a LOT of them made it down into my ash pan. If you decide the Jumbo Joe would be a good addition to your backyard you can click here and buy one at Amazon. I highly recommend buying the hinged grate as well. It comes in handy on long cooks and can be used to drastically increase capacity.